Exhibitor opportunities and sponsorship upgrades are available now. We have plenty of sponsorship and exhibitor opportunities to suit your needs. Download the prospectus below to learn about opportunities available now. Need to order event services? Event experience provider PSAV has you covered. Download PSAV's exhibitor services form below to get started. Waystar simplifies and unifies the healthcare revenue cycle with innovative technology that allows clients to collect more with less cost and less stress, so they can focus on their goals, patients, and communities. 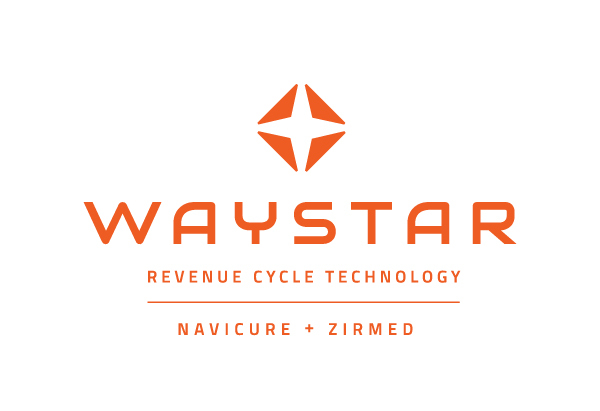 The combination of Navicure and ZirMed uniquely positions Waystar to provide an end-to-end, cloud-based revenue cycle technology platform across all care settings – empowering healthcare organizations to improve the overall financial health of their business by preventing problems, streamlining processes and removing friction in the revenue cycle process. PlayMaker Health is the post-acute growth platform for hundreds of organizations nationwide. Founded in 2008, PlayMaker Health offers the industry’s most comprehensive technology to radically improve visibility and market performance for post-acute care providers. The combination of market data including up-to-date claims data, provider and hospital referral patterns and readmission rates, EMR data and business development activity delivered through PlayMaker’s proprietary platform transforms data into actionable sales intelligence. Remain competitive, accelerate growth, and increase profitability with PlayMaker Health. At TEKsystems, a leading provider of IT staffing and IT services, we understand people. Every year we deploy over 80,000 IT professionals at 6,000 client sites across North America, Europe and Asia. Our deep insights into the IT labor market enable us to help clients achieve their business goals—while optimizing their IT workforce strategies. Accreditation Commission for Health Care is a nationally-recognized accreditation organization with CMS deeming authority for Home Health, Hospice, and DMEPOS. Utilizing a collaborative approach, ACHC has become synonymous with providing an exceptional value and outstanding customer experience. 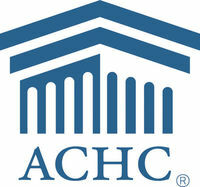 For more information or to get started, call (919) 785-1214 or visit cc.achc.org. Allegiance Group offers comprehensive private pay patient billing and debt collection strategies for the Healthcare industry. With more than 15 years of experience in the HME, DME and Pharmacy industries, our solutions greatly reduce the amount of time your staff spends on billing while increasing your cash recovery and decreasing your costs. Through our signature product, COLLECTPlus™, we can integrate with your billing system and automate your entire private pay billing and collections cycle. B. Braun Medical is headquartered in Bethlehem, PA, and is part of the B. Braun Group of Companies in the U.S., which includes B. Braun Interventional Systems, Aesculap® and CAPS®. Globally, the B. Braun Group of Companies employs more than 61,000 employees in 64 countries. For more information, visit us at www.BBraunUSA.com. BKD National Health Care Group works with hospitals, long-term care centers, skilled nursing facilities, home health agencies, rural health clinics and other health care organizations nationwide. These providers depend on our health care professionals for assurance services, tax advice, financial and strategic planning, financing assistance, compliance issues and reimbursement services. BlackTree Healthcare Consulting provides the strategies, resources, and education that healthcare agencies use to fulfill their vision. Through BlackTree’s inclusive suite of support services, agencies develop agile revenue cycle and clinical practices that improve operational efficiency and ensure regulatory compliance. Connected Home Living (CHL), addresses avoidable readmissions by blending live 24/7 Professional Remote Care Coordination, with the latest intuitive remote patient monitoring. Our team provides timely interventions, bridge external care services, and address patient psychosocial needs. Our telehealth solution allows patients and caregivers to manage care at home, while providing clinicians real-time case management and communication. We are transforming the model of care for patients at home using technology, but most importantly with human interaction. 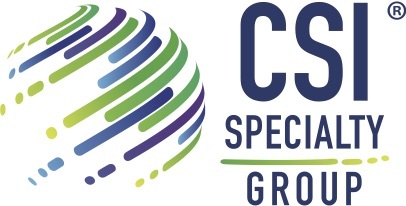 CSI Specialty Group is a globally recognized; award winning, leadership consulting firm dedicated to providing solutions that continually elevate the specialty pharmacy industry. By offering the industry’s most inventive consulting, workforce planning and talent acquisition solutions, we uniquely tailor our service offerings to help clients drive sustainable, accelerated growth. 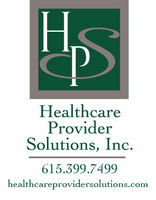 eSolutions provides Medicare A/R reducing services for health systems across the nation. Our Medicare Enterprise Package automates the claims editing process, freeing you from manually working in the DDE/FISS system. Our tools track and analyze Medicare claims to help identify and prevent problematic billing trends. We also improve your audit management through esMD. Excel Health enables access to complete Medicare Part A and Part B data, refreshed quarterly with only a quarter lag, (over 1.25 billion claims annually), Excel has put the most current, comprehensive, and robust medical databases in the world at your fingertips, in our easy to use Home Health and Hospice portals. Our goal is for care networks to be constructed and providers selected based on care efficacy (superior outcomes) and care efficiency (reduced utilization). From coding to products to education, our experienced team offers field-tested solutions to fulfill your needs in this ever-changing industry. FMS was established in 1995 to provide outstanding resources and comprehensive training for hospice and home care agencies. We offer products and services to equip professionals in their pursuit of excellent patient care. Our primary objective is to work with healthcare providers to develop, manage, and promote fiscal integrity and quality patient care. Healthcare Provider Solutions, Inc. specializes in financial, billing, reimbursement and clinical consulting to the home care and hospice industries. Our core services include billing and collections, receivable collection projects, clinical chart reviews, operational reviews and educational services through webinars, training videos, seminars and a Home Health Pocket Guide to OASIS. LexisNexis Health Care provides retail specialty pharmacies and pharmacy benefit managers with a robust portfolio of data intelligence and analytics solutions that address compliance, patient engagement, fraud risk and data management needs. MHA Specialty Pharmacy Solutions is dedicated to optimally position specialty pharmacy members and business partners to succeed in an increasingly dynamic health care environment. We help maximize opportunities for success by providing a full range of commercial, clinical and software solutions designed to support improved outcomes and sustain efficient and successful operations. Medical Specialties Distributors (MSD) is a leading post-acute service solutions provider serving the Home Infusion, Home Medical Equipment, and Oncology Markets. MSD provides a comprehensive offering of medical products, distribution services, biomedical repair & maintenance, medical device sales & rental, and patient technology solutions. MSD’s Total Enterprise Solution are specifically designed to improve both operational efficiencies and profitability so our customers can focus on the most important thing, patient care. Mueller Prost is a team of certified public accountants & consultants providing a full range of professional tax, audit, accounting, & consulting services to clients nationwide. Mueller Prost understands the unique challenges faced by healthcare organizations & offers comprehensive, tailored financial solutions including tax advice, audits, healthcare accounting, cost report preparation, billing, reimbursement & healthcare consulting services. OASIS Answers is the premier home health OASIS educator in the country. The Blueprint for OASIS Accuracy workshop offers comprehensive training, targeted for field data collectors, their supervisors and those preparing for the COS-C Exam. Training is currently focused on OASIS-D to prepare participants for the changes that are coming in 2019. OASIS Answers is also your source for the INSTANT OASIS Answers resource book, Hospice training, and the Quarterly OASIS Update Teleconference.